Do You Have The #BIZPT Mindset? Physical therapists are often afraid of change when it comes to their practice, and they aren’t willing to set aside the time or money to develop a better marketing campaign. But that type of behavior is short-sighted—by developing and employing the right social media marketing strategies they could bring in far more money than they stand to lose by cancelling a few appointments. Just recently there was an article written by Larry Benz PT on the EIM blog. He was speaking more about the so called “gurus” of the PT marketing world. I myself have have never called myself a guru. Especially to the PT world. 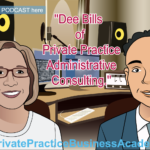 If you have followed my podcast for some time you know that I work with all practitioners in private practice. Yes i do have an affinity towards physical therapists. But, I really thought the article was well written and spoke to some great points. What i disagree on (in the article) is what Larry considers marketing. Unfortunately it’s that same mindset that we see in many in healthcare and not just physical therapy. Yes, marketing and sales gets a bad rap, but if you have studied it like i have you would see that it’s truly the only way to clone yourself and serve more of humanity. I would say it would be a disservice if you did not share your expertise to those that can help others. Secondly, nothing against the PPS section but they simply didn’t have the marketing skills needed to grow my local practice nor was it there job too. But teaching the same “old time tested systems” are exactly why you see so many closing their doors today. Because they have not adapted to the moving future. 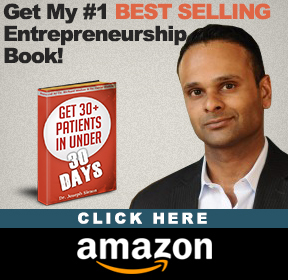 There are many “techniques” that have been used from countdown timers to other scarcity tactics to attract clients, patients , consumers. If you study human psychology you will realize that these techniques are used because that’s what some people respond to. And YES people need to be lead. Im sure Larry would agree with me that he has dealt with employees in the past that are asking to be lead to the next step. I only bring this up bc in this episode i speak to Paul Gough (another PT Guru) and I recorded this episode before the article was written or I would have spoke to him directly about this. Paul’s marketing techniques are exactly what the article considers what would discredit you as a practitioner of health care (physical therapy to be exact). Let’s keep an open mind, and Im sure to share the other side of the story soon enough but for now please keep calm and continue…. 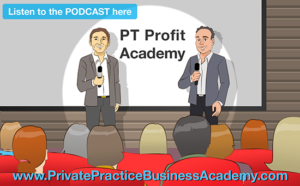 In this episode, I interview Paul Gough, owner of multiple practices and founder of PT Profit Academy. PT Profit Academy is a company committed to helping physical therapy clinics develop successful marketing campaigns, they type of campaigns that significantly multiply revenue. Using key insights Paul teaches practices how to target the perfect potential patient through carefully chosen mediums. And what does that patient look like?—it looks like Mary, a fifty-three-year-old grandmother who’s physically active and hates painkillers, but in dire need of a way to alleviate her lower back pain. PT Profit Academy helps PT practices target people exactly like Mary in the most effective way possible: through the provision of good information that positions PTs as thought-leaders. By simply offering Mary free, quality advice through a social vehicle like Facebook or Instagram, PT Practices can gradually bring her in as a paying patient. As you listen to this episode, consider getting out of the typical “I’m too busy” physical therapist mindset. Are you open to implementing a new marketing strategy? Are you willing to take your business and employees to the next level? If you want your business to grow and become better, your answer had better be “Yes” to these questions. And pay attention to my conversation with Paul, as he explicitly discusses why PTs need to stop relying on referrals and start relying on aggressive marketing efforts to help their businesses stop floundering and start growing. Paul has some great programs for physical therapy private practice owners. Check out his PT Business School program. I think this would be a great start for my listeners. 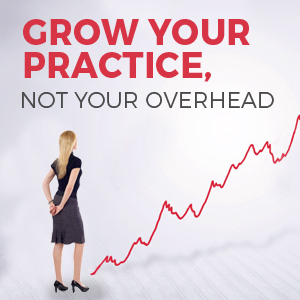 I have been consulting PTs practice owners for over 4 years and I realize that there is always something to learn. I learn from all my interviews. Paul was no exception. I love what this guy is doing. He is a marketer after my own heart. His knowledge is based from real life experiences and not from theory like so many other “coaches” out there. Like myself paul, still has his london clinics running on autopilot. There are alot of other guys out there that have never ran multiple (out of net /cash practices /clinics ) locations, but yet want to share their expertise. 07:02 – What is your response to someone saying, Paul, you’re from overseas. That’s not the way we do it over here. 07:11 – Are you patients not the same as ours? 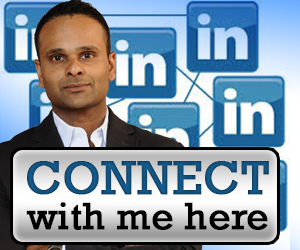 08:39 – How do I get started as a company that is in network, like the US? Out of network can’t work. 11:33 – Advice: Reach out to people before they get to the clinic, when they are researching their problem at home. 12:51 – How do I do that through Facebook? 15:52 – I can’t do that. Instead of using auto responders, what’s an easy way to do that? 18:18 – Joe says it’s great to be direct and get past the typical mindset. 19:15 – How and where have you faced that mindset with clients? 22:39 – You must address challenges with all of your employees. 27:12 – What’s the best and worst employee? And what’s your process to find one? 28:52 – People shouldn’t view the hiring process as a problem. 31:58 – An employee’s job is to “wow” the customers. They need people skills. 34:22 – Not all employees are equal. Make sure the PT is not scared to talk about money. 35:05 – What’s a marketing campaign that works well for you or your client?